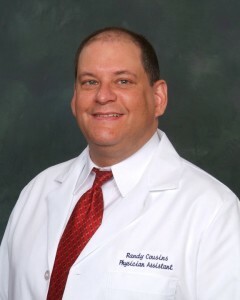 Randy Cousins, PA-C has been a Physician Assistant since 1994. He graduated at the top of his class from the US Air Force PA Program and passed the National Commission for the Certification of Physician Assistants exam with honors in Primary Care and Surgery. He served 14 years on active duty and is a veteran of Operation Desert Storm. He is originally from New Orleans and attended Louisiana State University before entering the Air Force. He and his wife Cindy have been married for 25 years and have five children. He has been trained in Urology by Dr. Harper and works directly under his guidance. He is also experienced in Primary Care, Internal Medicine, Family Practice, and Dermatology.